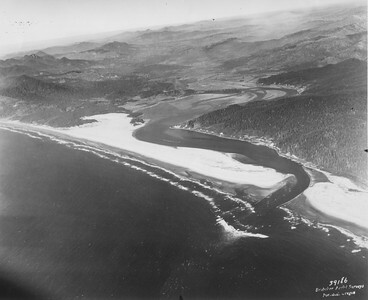 State officials acquired the land on the Nehalem spit during the 1930s. 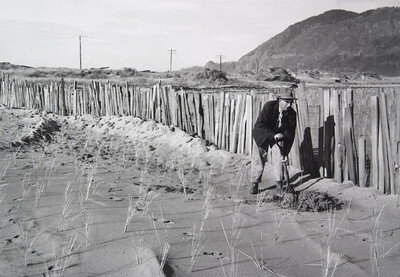 Workers planted grass, trees and Scotch broom to stabilize the sand during the 1940s and 50s and built the air strip in 1958. The park opened in the early 1970s. 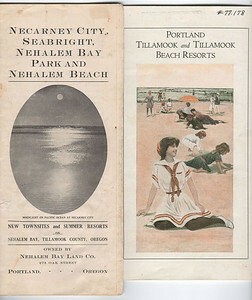 Promise of a railroad by 1911 from Portland to Nehalem Bay and south to Tillamook sparked a real estate boom for ocean resorts. 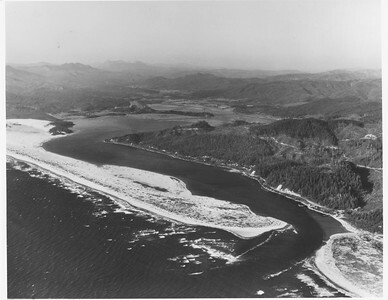 Developers bought the Nehalem spit from the heirs of homesteaders. 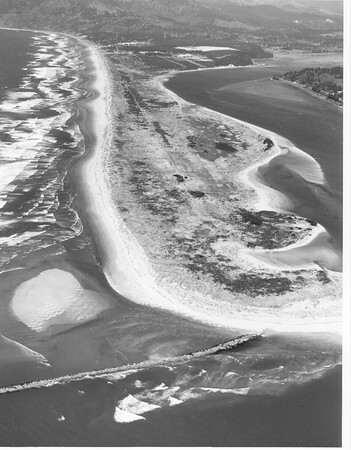 To stablize the dunes, park employees planted thousands of Scotch broom, shore pine and beach grass between 1945 and 1960. Park staff were helped by boys lodged at Camp Necarney, an outpost of Macarlen School for boys. Thirty years after planting began, the spit seems covered in vegetation. 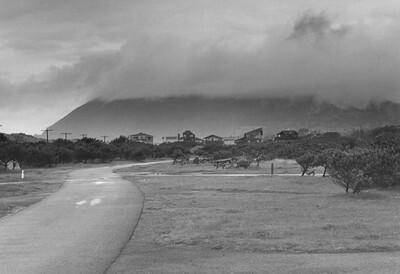 This image shows the road to the end of the spit built for access to repair the north jetty. Taken 1978 for Oregon Department of Parks and Recreation. The new park had been open to the public for just a few years. Developers in 1908 sold lots based on the promise of busy resorts and quick profits. 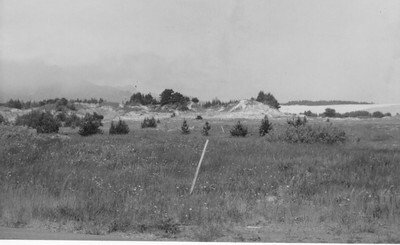 This photo taken 1953 for Oregon Department of Parks and Recreation shows bare dunes and no air strip. 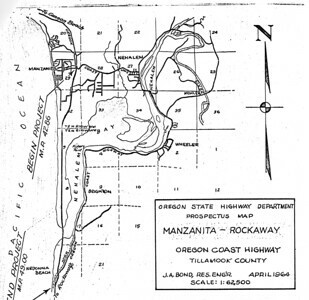 Orginal plans for Highway 101 called for following the spit to its south end, then building a bridge to Nedonna Beach. Early visionaries for the park thought this route would allow for 1,000 campsites and "turn the park into the Coney Island of the west." For additional information, see gallery "Highway 101" in category "topics." Campsites in A loop in 1982 had no hookups or asphalt pads. Early maps showed homesites and resort towns existing only in the dreams of developers and their customers. 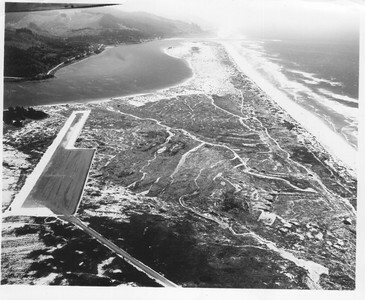 The Oregon Department of Aviation built the airport in 1958. 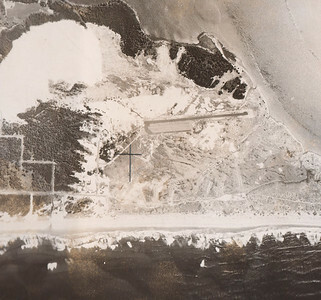 Compare this 1960 photo with the previous image taken before building the airport. 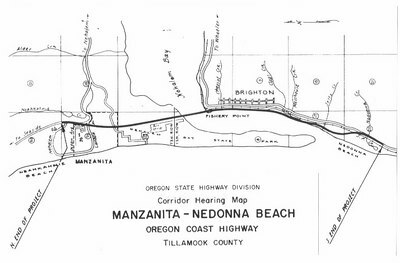 Controversy in the early 1960s over ODOT plans in south Tillamook County killed the plan to use the entire spit for a highway. 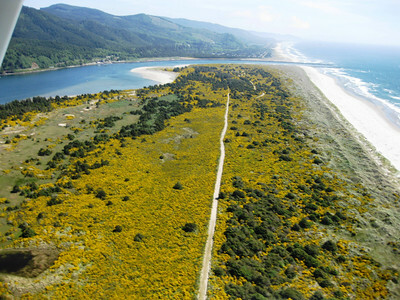 Instead, ODOT suggested crossing Nehalem Bay to Fishery Point, then following the east side of the bay to Nedonna Beach. Over 200 people at a public hearing in 1970 opposed the plan. None spoke in favor. Consultants in the 1950s assured park staff the Scotch broom would help stabilize the dunes, then would die out under the shade of mature pine trees. By the 21st century, Scotch broom had overwhelmed the park. 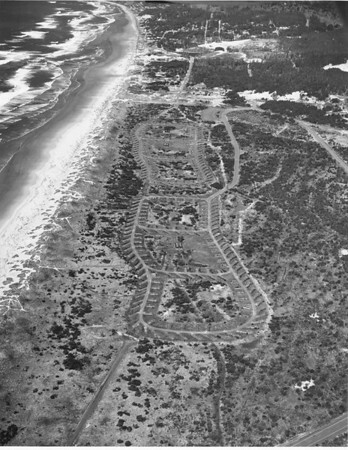 During the depression of the 1930s, most of the people who still owned lots in the Nehalem spit abandoned title rather than pay property taxes. Before grading for the park, dunes formed a varied landscape. By1961, shore pines planted all over the spit had just begun to emerge from the underbrush. 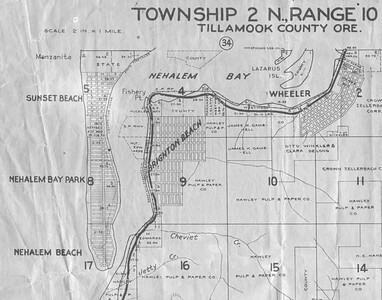 By the 1940, Tillamook County had acquired most of the spit for back taxes, then given the land to Oregon state parks. 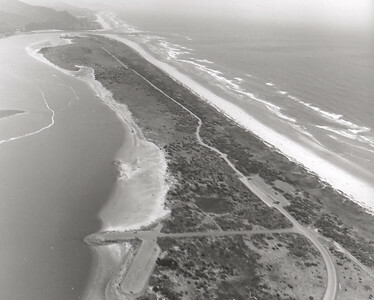 By the early 1970s, the officials of the Port of Nehalem had persuaded the U S Army Corps of Engineers that jetties at the end of the spit needed repair and upgrading. 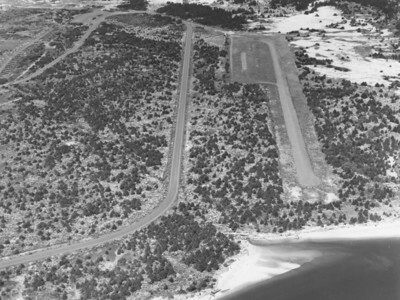 This image from 1978 shows ample space and trees at the south end of the air strip. In the 1980s, park staff cut the trees to create a more gradual angle of approach for aircraft. 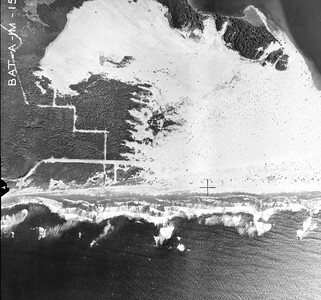 With vegetation gone, the coastline eroded close to the tarmac as it remains today.